In The Archive and the Repertoire preeminent performance studies scholar Diana Taylor provides a new understanding of the vital role of performance in the Americas. From plays to official events to grassroots protests, performance, she argues, must be taken seriously as a means of storing and transmitting knowledge. 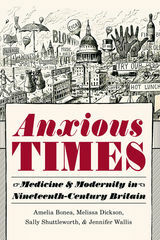 Taylor reveals how the repertoire of embodied memory—conveyed in gestures, the spoken word, movement, dance, song, and other performances—offers alternative perspectives to those derived from the written archive and is particularly useful to a reconsideration of historical processes of transnational contact. The Archive and the Repertoire invites a remapping of the Americas based on traditions of embodied practice. Examining various genres of performance including demonstrations by the children of the disappeared in Argentina, the Peruvian theatre group Yuyachkani, and televised astrological readings by Univision personality Walter Mercado, Taylor explores how the archive and the repertoire work together to make political claims, transmit traumatic memory, and forge a new sense of cultural identity. Through her consideration of performances such as Coco Fusco and Guillermo Gómez-Peña’s show Two Undiscovered Amerindians Visit . . . , Taylor illuminates how scenarios of discovery and conquest haunt the Americas, trapping even those who attempt to dismantle them. 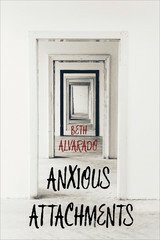 Meditating on events like those of September 11, 2001 and media representations of them, she examines both the crucial role of performance in contemporary culture and her own role as witness to and participant in hemispheric dramas. The Archive and the Repertoire is a compelling demonstration of the many ways that the study of performance enables a deeper understanding of the past and present, of ourselves and others. Mumbai's textile industry is commonly but incorrectly understood to be an extinct relic of the past. In The Archive of Loss Maura Finkelstein examines what it means for textile mill workers—who are assumed not to exist—to live and work during a period of deindustrialization. Finkelstein shows how mills are ethnographic archives of the city where documents, artifacts, and stories exist in the buildings and in the bodies of workers. Workers' pain, illnesses, injuries, and exhaustion narrate industrial decline; the ways in which they live in tenements exist outside and resist the values expounded by modernity; and the rumors and untruths they share about textile worker strikes and a mill fire help them make sense of the industry's survival. 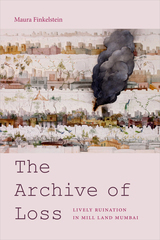 In outlining this archive's contents, Finkelstein shows how mills, which she conceptualizes as lively ruins, become a lens through which to challenge, reimagine, and alter ways of thinking about the past, present, and future in Mumbai and beyond. 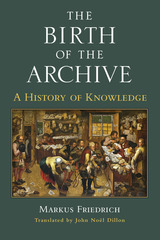 The Birth of the Archive traces the history of archives from their emergence in the Late Middle Ages through the Early Modern Period, and vividly shows how archives permeated and fundamentally changed European culture. Archives were compiled and maintained by peasants and kings, merchants and churchmen, and conceptions of archives were as diverse as those who used them. The complex, demanding job of the archivist was just as variable: archivists might serve as custodians, record-keepers, librarians, legal experts, historians, scholars, researchers, public officials, or some combination thereof; navigating archives was often far from straightforward. The shift of archival storage from haphazard collections of papers to the methodically organized institutionalized holdings of the nineteenth century was a gradual, nonlinear process. Friedrich provides an essential background to the history of archives over the centuries and enriches the story of their evolution with chapters on key sociocultural aspects of European archival culture. He discusses their meaning and symbolism in European thought, early modern conceptions of the archive’s function, and questions of access and usability. Exploring the close, often vexed relationship between archives and political power, Friedrich illustrates the vulnerability of archives to political upheaval and war. He concludes with an introspective look at how historians used their knowledge of and work with archives to create distinct representations of themselves and their craft. The Birth of the Archive engages with scholarship in political history, the history of mentalities, conceptions of space, historiography, and the history of everyday life in early modern Europe. It has much to offer for specialists and scholars, while the jargon-free prose of this translation is also accessible to the general reader. Cinema is not only a major industry in India, it is a powerful cultural force. But until now, no one has undertaken a major examination of the ways in which films made in Bombay mediate the urban experience in India. In Bombay Cinema, Ranjani Mazumdar takes a multidisciplinary approach to understanding Bombay cinema as the unofficial archive of the city in India. In this analysis of the cinematic city, Mazumdar reveals a complex postnationalist world, convulsed by the social crisis of the 1970s and transformed by the experience of globalization in the 1990s. She argues that the upheaval of postcolonial nationalism led to Bombay cinema’s articulation of urban life in entirely new terms. Specifically, the place of the village in the imaginary constitution of anticolonial nationalism gave way to a greater acknowledgment, even centrality, of urban space. Bombay Cinema takes the reader on an inventive journey through a cinematic city of mass crowds, violence, fashion, architectural fantasies, and subcultural identities. Moving through the world of gangsters and vamps, families and drifters, and heroes and villains, Bombay Cinema explores an urban landscape marked by industrial decline, civic crisis, working-class disenchantment, and diverse street life.Combining the anecdotal with the theoretical, the philosophical with the political, and the textual with the historical, Bombay Cinema leads the reader into the heart of the urban labyrinth in India, revising and deepening our understanding of both the city and the cinema. In this digital landscape, the archival-oriented media theories of Wolfgang Ernst are particularly relevant. 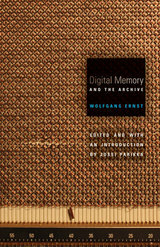 Digital Memory and the Archive, the first English-language collection of the German media theorist’s work, brings together essays that present Ernst’s controversial materialist approach to media theory and history. His insights are central to the emerging field of media archaeology, which uncovers the role of specific technologies and mechanisms, rather than content, in shaping contemporary culture and society. Ernst’s interrelated ideas on the archive, machine time and microtemporality, and the new regimes of memory offer a new perspective on both current digital culture and the infrastructure of media historical knowledge. For Ernst, different forms of media systems—from library catalogs to sound recordings—have influenced the content and understanding of the archive and other institutions of memory. At the same time, digital archiving has become a contested site that is highly resistant to curation, thus complicating the creation and preservation of cultural memory and history. In this witty, engaging, and challenging book, Carolyn Steedman has produced an originaland sometimes irreverentinvestigation into how modern historiography has developed. Dust: The Archive and Cultural History considers our stubborn set of beliefs about an objective material worldinherited from the nineteenth centurywith which modern history writing and its lack of such a belief, attempts to grapple. Drawing on her own published and unpublished writing, Carolyn Steedman has produced a sustained argument about the way in which history writing belongs to the currents of thought shaping the modern world. Steedman begins by asserting that in recent years much attention has been paid to the archive by those working in the humanities and social sciences; she calls this practice "archivization." By definition, the archive is the repository of "that which will not go away," and the book goes on to suggest that, just like dust, the "matter of history" can never go away or be erased. This unique work will be welcomed by all historians who want to think about what it is they do. 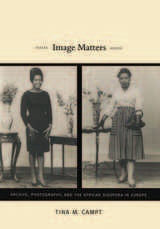 In Image Matters, Tina M. Campt traces the emergence of a black European subject by examining how specific black European communities used family photography to create forms of identification and community. At the heart of Campt's study are two photographic archives, one composed primarily of snapshots of black German families taken between 1900 and 1945, and the other assembled from studio portraits of West Indian migrants to Birmingham, England, taken between 1948 and 1960. Campt shows how these photographs conveyed profound aspirations to forms of national and cultural belonging. In the process, she engages a host of contemporary issues, including the recoverability of non-stereotypical life stories of black people, especially in Europe, and their impact on our understanding of difference within diaspora; the relevance and theoretical approachability of domestic, vernacular photography; and the relationship between affect and photography. Campt places special emphasis on the tactile and sonic registers of family photographs, and she uses them to read the complexity of "race" in visual signs and to highlight the inseparability of gender and sexuality from any analysis of race and class. Image Matters is an extraordinary reflection on what vernacular photography enabled black Europeans to say about themselves and their communities. Writing has long been linked to power. For early modern people on both sides of the Atlantic, writing was also the province of notaries, men trained to cast other people’s words in official forms and make them legally true. Thus the first thing Columbus did on American shores in October 1492 was have a notary record his claim of territorial possession. It was the written, notarial word—backed by all the power of Castilian enforcement—that first constituted Spanish American empire. Even so, the Spaniards who invaded America in 1492 were not fond of their notaries, who had a dismal reputation for falsehood and greed. Yet Spaniards could not do without these men. Contemporary scholars also rely on the vast paper trail left by notaries to make sense of the Latin American past. How then to approach the question of notarial truth? Kathryn Burns argues that the archive itself must be historicized. Using the case of colonial Cuzco, she examines the practices that shaped document-making. Notaries were businessmen, selling clients a product that conformed to local “custom” as well as Spanish templates. Clients, for their part, were knowledgeable consumers, with strategies of their own for getting what they wanted. In this inside story of the early modern archive, Burns offers a wealth of possibilities for seeing sources in fresh perspective. 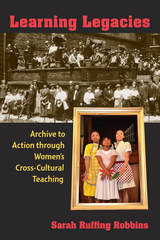 Learning Legacies explores the history of cross-cultural teaching approaches, to highlight how women writer-educators used stories about their collaborations to promote community-building. Robbins demonstrates how educators used stories that resisted dominant conventions and expectations about learners to navigate cultural differences. 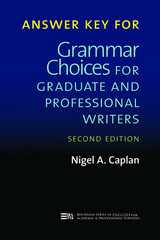 Using case studies of educational initiatives on behalf of African American women, Native American children, and the urban poor, Learning Legacies promotes the importance of knowledge grounded in the histories and cultures of the many racial and ethnic groups that have always comprised America’s populace, underscoring the value of rich cultural knowledge in pedagogy by illustrating how creative teachers still draw on these learning legacies today. Charlotte Salomon's (1917-43) fantastical autobiography, Life? or Theater?, consists of 769 sequenced gouache paintings, through which the artist imagined the circumstances of the eight suicides in her family, all but one of them women. But Salomon's focus on suicide was not merely a familial idiosyncrasy. Nothing Happenedargues that the social history of early-twentieth-century Germany has elided an important cultural and social phenomenon by not including the story of German Jewish women and suicide. 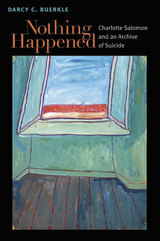 This absence in social history mirrors an even larger gap in the intellectual history of deeply gendered suicide studies that have reproduced the notion of women's suicide as a rarity in history. Nothing Happenedis a historiographic intervention that operates in conversation and in tension with contemporary theory about trauma and the reconstruction of emotion in history. 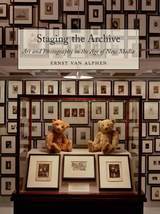 Dedicated to art practices that mobilize the model of the archive, Staging the Archive demonstrates the ways in which such “archival artworks” probe the possibilities of what art is and what it can do. Through a variety of media, methodologies and perspectives, the artists surveyed here also challenge the principles on which the notions of organization, evidence, and documentation are built. The earliest examples of the modern archival artwork were made in the 1930s, but only since the 1960s have artists really embraced archival principles to inform, structure, and shape their works. This includes practices that consist of archive construction, archaeological investigation, record keeping, and the use of archived materials, but also interrogations of the principles, claims, and effects of the archive. Staging the Archive shows how artists read the concept of the archive against the grain, questioning not only what the archive is and can be but what materials, images, or ideas can be archived. Ernst van Alphen examines these archival artists and artworks in detail, setting them within their social, political, and aesthetic contexts. Exploring the works of Marcel Duchamp, Marcel Broodthaers, Christian Boltanski, Annette Messager, Fiona Tan, and Sophie Calle, among others, he reveals how modern and contemporary artists have used and contested the notion of the archive to establish new relationships to history, information, and data.